What can I say? 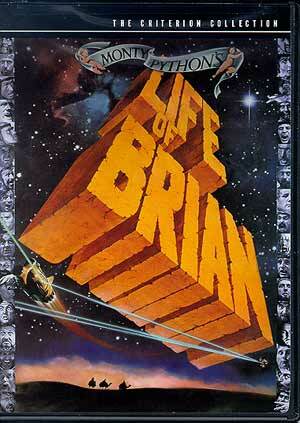 The Life Of Brian was great—pretty much what you’d expect from the Monty Python guys. It starts out with the three wise men mistaking Brian for Jesus as it turns out he was also born in a manger the same night, just a few doors down from Mary and Joseph. Not a bad start... The hilarity ensues in little skit-like scenes, much in the same vein as The Holy Grail, but with a more cohesive story line. Where The Holy Grail just gets more absurd and more surreal as the movie goes on, The Life Of Brian actually has a plot, though it’s admittedly thinner than your standard movie. Anyway, this movie is a comedy and it excels at that. I found myself laughing all the way through it. Kudos to the python guys for ending with a huge crucifixion scene where all those being crucified break out into the most upbeat song you’ve ever hear, singing, “Always look on the bright side of life.” Brilliant.